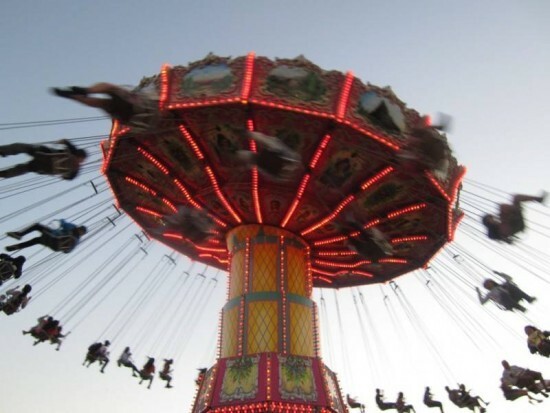 The 2018 Alameda County Fair takes over their annual Pleasanton stomping grounds with carnival rides, horse racing, exhibits, animals, food, games, pig races, tons of kids activities, extreme rodeos and more. Also catch a nightly 8 pm concert (free with your paid admission) at their 3,000 seat amphitheater, which you can also watch from the lawn on a jumbo-tron screen. There will also be fireworks display every night except on the 4th of July. Military Appreciation Day – Everyday, military members receive one free admission with valid Military ID. Veterans are free with proof of service. Bring your dad along to the Alameda County Fair for Father’s Day with plenty of attractions and events all day long. On Sunday, dads get free admission until 5 pm.